Can more guns lead to less crime, or is increased gun control the best way to promote a more peaceful society? Debate is again raging around this heated question in the wake of yet another mass shooting, which claimed 49 lives at an Orlando nightclub on June 12. Amid such turmoil, policymakers and scholars are revisiting gun violence research, hoping for prescriptive solutions. However, according to University of Virginia economics professor John Pepper, simple solutions, either for or against gun control, are not supported by the data that we currently have. Pepper and co-author Charles Manski, an economist at Northwestern University, have written a working paper for the National Bureau of Economic Research that studies the impact of right-to-carry laws in Virginia, Maryland, Indiana and Illinois from 1970 to 2007, using crime data from the Federal Bureau of Investigation. One of their main goals was to explain wide discrepancies in previous gun violence research that used the same data set to draw different conclusions. 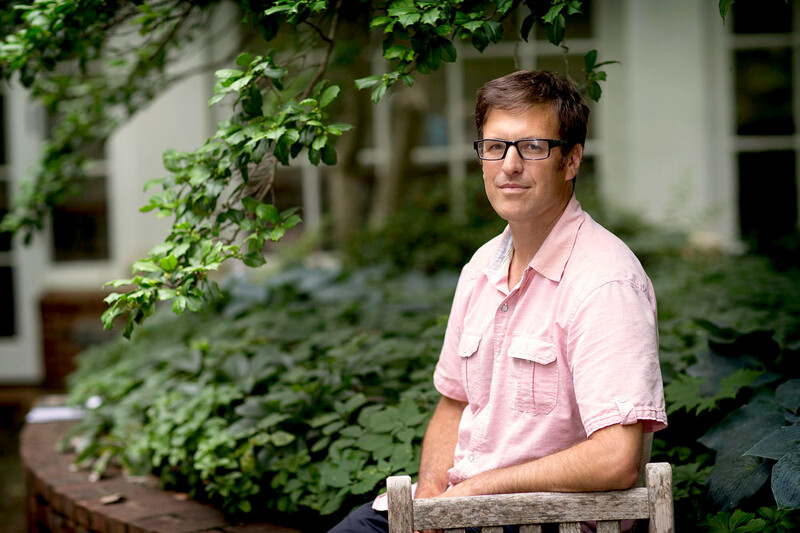 UVA Today sat down with Pepper, who plans to continue researching the topic, to better understand what he learned, what it means for gun control research and how that research might help shape current debates. Q. Why do conclusions vary so widely among scholars studying the impact of gun control on crime rate statistics? A. Most of the studies done so far have used essentially the same data from the FBI, which was first studied by economist and gun rights advocate John Lott. Lott concluded that right-to-carry laws reduce crime, but other studies have found opposite conclusions with the same data. The main reason is that different studies are making different assumptions and using different models of the way that crime and guns interact with each other. For example, some researchers choose to allow for variation across different states or time periods, while others assume that the effects of right-to-carry laws are the same for all time periods and all states. Some researchers use models that account for hundreds of socioeconomic, demographic and criminal justice variables within each state and year, while others use more parsimonious specifications. These differences in the underlying models significantly change results. Yet, we have no good reason to believe in the validity of one particular model. Q. What do you believe is the most useful way to research this topic? A. We began with the premise that we do not have a very good understanding of the way firearms and violence interact with each other. Obviously this is one of the most divisive issues facing our country and, unfortunately, as a nation we have not invested many resources in learning more about firearms and violence. Without a more developed research infrastructure, it is difficult to come up with credible assumptions that help us learn about the effects of different laws. So, instead of applying strong untenable models, our approach is to relax assumptions. For example, we allow the effects of right-to-carry to be different across states, across years and with different crime types. This is a more flexible approach than other studies have taken. It leads to a set of results that are very nuanced, with no simple, punch-line conclusions. The effects vary over states and time and we do not get an exact answer. However, we believe that this is more credible and that there is still something we can learn from the data. Q. Did you notice any trends as you studied right-to-carry laws and crime rates? A. As a rough generalization, we tend to find that data through the 1990s suggests that right-to-carry laws reduce some crimes, while data from later years suggests they increase some crimes. This finding is consistent with the idea that the relatively high crime rates in the 1980s and early 1990s gave room for right-to-carry laws to have a deterrent effect during this period, but not in the 2000s when crime rates fell. Q. How can this research inform the current political debate? A. We provide credible but uncertain estimates of the effect of right-to-carry laws. Our view is that policymakers and researchers need to face up to the ambiguity that we are dealing with. With better data and more credible models, we might get more precise answers, but even then there is not likely to be a simple solution. Policymakers trying to make sense of research on this topic can latch onto a study that supports their preconceived views. Because of this, there is an important role for serious empirical research even when there is great controversy and great uncertainty. Everyone – both policymakers and researchers – needs to recognize this uncertainty.